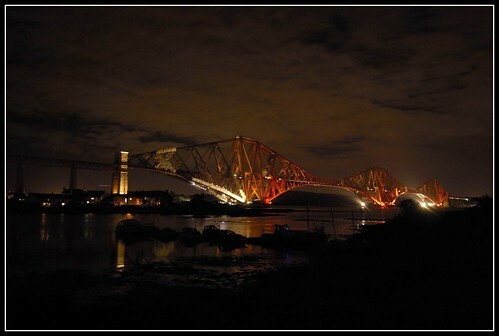 Forth Rail Bridge At Night, originally uploaded by Wee Welchie. This is probably my best night shot I’ve taken. Living next to the bridge is inspiring but you have to get round to photographing it. Taken at 10:00pm, exposure of 5 s.
And it will be a year tomorrow that we became Edinburghers living in Fife. ~ by Welchie on 27 September, 2007.